Airbnb is a popular online marketplace that connects people who offer their place for rent to tourists who are unable to find accommodations in hotels and want to rent. Boatbound.com, Boatsetter.com, and Cruzin.com Web sites are similar to Airbnb except that they offer boat rentals instead of accommodation. These Web sites connect private boat owners and renters. 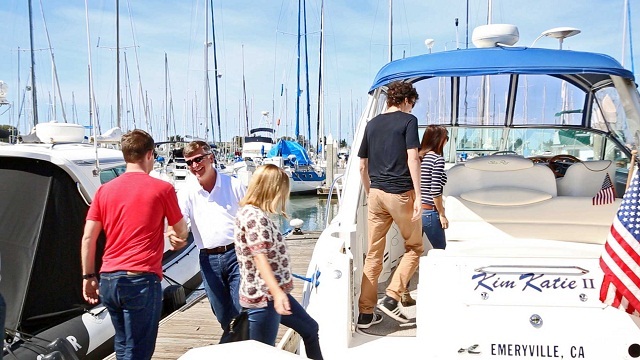 The services they offer allow owners to earn profits and cover the boat’s upkeep cost and non-owners to experience a day of life on the water with family or friends without buying a boat. But just like any other transaction, there are a lot of things both the boat owner and the customer have to take into consideration before sealing the deal, and at the top of these is safety. Nowadays, using boat rental GPS tracker has been widely observed, as it has been proven to be an effective way to ensure the safety of the property and the renter. While it is effective, the Boat Owners Association of the United States (BoatUS) strongly advises everyone to still be careful. The organization recently laid out tips for boat owners a safer and hassle-free transaction. Here is a list of the said tips. Whether you are a boat owner or a renter, you’ll find these reminders for boat owners from BoatUS helpful. Safer boats basically refer to the newer ones, those that are 10 years old and younger. Older and larger boats may have to undergo inspection. Rental costs depend on the boat size and location. Aside from the rental fee, boat owners generally require renters to give a security deposit. Most boat owners only accept customers with navigation experience. These Web sites normally take about 30–40 percent of the rental fee, which includes operating cost, profit, insurance, and water towing services. Most insurance providers don’t cover boats that are part of rental services for obvious reasons. 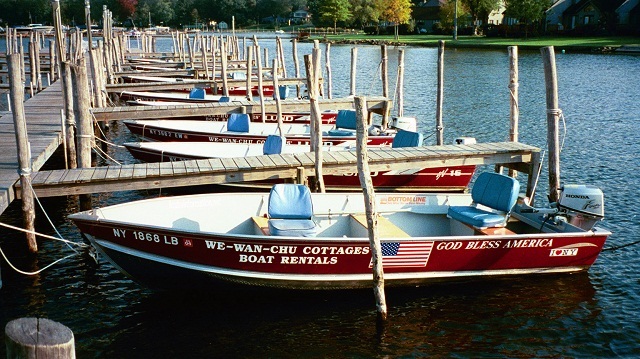 That’s why these peer-to-peer boat rental companies offer auxiliary insurance coverage. However, it’s both owners and renters’ responsibility to scrutinize the policy. One of the most important tips for boat owners and one they must remember is that they should be aware what will happen in case the boat is damaged, how to process the claim, how much the devaluation is, and in case of a total loss, find out how the insurance would appraise your boat. For the renters, make sure that you agree to the policy being offered while renting. Find out how much you would have to shell out if you damage the watercraft and if they cover passengers’ injuries. These services are given to other peer-to-peer rental services by Tow Boat US and Vessel Assist for no cost. The renter will just have to call BoatUS’ 24/7 nationwide communication (800-391-4869) in case they experience a problem. Fuel expenses and other costs are excluded from the rental fees. Renters should verify with the owner what happens to the additional expenses they spent if the boat malfunctions. The owners also have the last say on the rental price. One BoatUS member named Bob Kellet says that he agrees to rent his boat only if he feels comfortable with the renter. He would also sometimes take the renter out for a few minutes to demonstrate how to properly run the boat. Educate them on how to operate the boat’s equipment, from the engine to safety gear. Taking several photographs of the watercraft before renting out your boat is a good practice to show its good condition. Owners should check the customer’s renting history; the same with renters, researching reviews of the owner’s past renters is also essential to know if the owner’s boat can give you a positive rental experience. Setting up a GPS tracker on the boat is also a good investment. It’s acceptable if a boat owner feels anxious about renting their boat to a complete stranger, after all, it’s a high-value asset. Owners can’t be sure if the renter will also take good care of the boat like how they do. But according to BoatUS member Kellet, after a few rentals, he realized that renters also cared about his vessel, because like him, they love boating too. Now that your boat rental business has become successful, another problem will arise. You can’t use your boat yourself anymore because of the number of clients who want to rent it. Kidding aside, installing GPS trackers to your boat can have a huge positive impact on your business. It will allow owners to keep track of their boat 24 hours a day. Renters will no longer need to call you to ask for proper navigation if they get lost at night. In the event of theft and sinking, you can quickly locate and recover the vessel within minutes through your computer or smartphone. In case of emergency, help is also just a press of a button away with SOS button in GPS tracker. No time will be wasted because the boat’s exact location is readily available. Boat owners can even get lower insurance fee by equipping their boats with GPS boat tracker. We hope you’ve learned something from these tips for boat owners.